With the economy in recession amid severe fiscal austerity policies, President Mauricio Macri is campaigning for re-election without any major successes to show although time could still be on his side if he can achieve stability. 2018 was an "annus horribilis" for Macri. Inflation, initially calculated at 10 percent, closed the year at 48 percent. An economy projected to grow 3.5 percent entered into recession and will end up falling 2.7 percent, according to the most recent World Bank data. The president’s approval ratings fell from 66 percent in October, 2017, to 35 last month, according to a Universidad de San Andrés survey. On the back of that erosion Macri has to try and convince Argentines that his second term could leave a stable and prosperous country. "I believe we Argentines will choose the long haul – that of effort, truth, the long term, a joint construction. We face the enormous task of turning around 70 years of always looking for short cuts,” said Macri in his New Year’s message. He is gambling on slowing down inflation by the first round of voting in October. But "Macri needs to improve and fix a number of things,” affirms Pablo Knopoff, director of Isonomía consultancy. Yet Macri is favoured by the division of the Peronist opposition, which spans the entire political spectrum from right to left and which makes it difficult to settle on a single candidate. Until now there is uncertainty as to whether ex-president and centre-left Peronist Senator Cristina Kirchner will be running as the most popular opposition politician but facing several trials for corruption. For now the general picture is "a dispute between minorities. The undecided are the biggest sector. The winner will remain a minority and have to negotiate with others,” maintains the sociologist Ricardo Rouvier. An Opinaia poll published last week shows 27 percent intending to vote for Macri, 26 percent for Kirchner and 11 percent for the Peronist Sergio Massa. There is still time for an alternative option to emerge before the August primaries. "Cristina Kirchner will be an important defining factor", assures Knopoff, who feels that the ex-president’s candidacy would favour Macri. According to Rouvier, Kirchner might outvote Macri in the first round "but would have her work cut out in the run-off" as the strong rejection towards her person leave her little room to grow. Macri and his Cambiemos (Let’s Change) coalition "have nothing to offer on the economic and social fronts so they will switch the focus to law and order and the fight against corruption," suggests Rouvier. Cristina Kirchner currently faces seven court cases (six of them for presumed corruption), which will progress as the year advances. Proposals for speeding up the deportation of foreigners who commit crimes and lowering the age of criminal responsibility to 15 have been presented for debate by Security Minister Patricia Bullrich, tipped as a possible running-mate for the Macri ticket. An unusual drought last year gravely affected Argentina’s main export product: grain. Bond investments plunged and the country suffered two runs on the currency depreciating it to the tune of 51 percent. 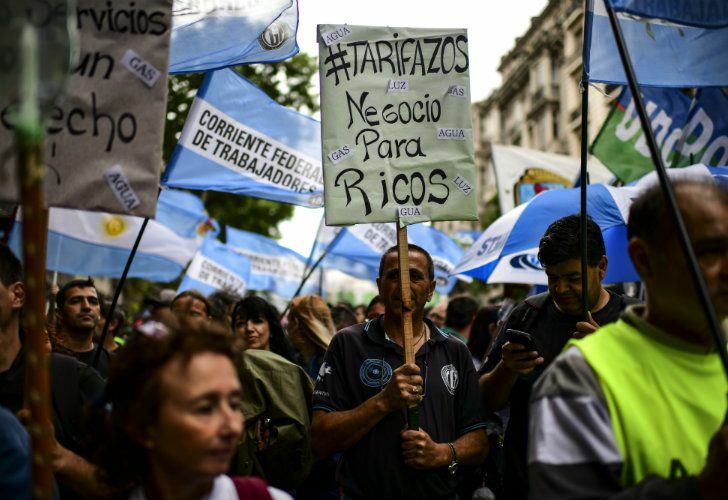 Macri then opted for a US$ 56-billion aid package from the International Monetary Fund (IMF), an organism widely rejected by the Argentines, committing the government to stiff austerity in order to achieve a balanced budget this year. "There is great uncertainty on money markets. Despite the exchange rate stability gained, the last word has not yet been said because assets tend to be dollarised in an election year. In Argentina, the dollar acts as a haven,” explains Ecolatina’s Lorenzo Sigaut. Any third run on the currency would place Argentina "in a very critical situation because there could be no more turning to the IMF," which gave the country the biggest loan in its history, he warns. 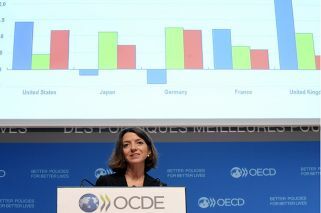 With forecasts of an important fall in consumption and public investment, "stagnation is the perspective for this year in the best of cases," according to Sigaut.